As the general release of the Hobbit looms here in the United States, my film industry friends and I can’t help but speculate on the response Peter Jackson will get from the general public for his decision to photograph the film at 48fps. 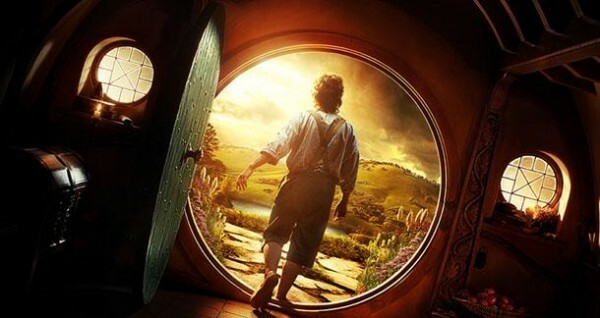 There have been mixed reviews from critics concerning the look and feel of The Hobbit, most notably from The Huffington Post’s Mike Ryan. I await the film with open-minded caution and a bit of excitement. One reason for industry unease was the failure of Showscan: Douglas Trumbull’s 60fps 65mm film format. Similar to IMAX film in terms of production difficulty, the death knell of the format came from the technical requirements for projection. Showscan theaters had to be expensively retrofitted for the format, something that cash strapped theaters didn’t want to do in an era where VHS home video was gaining steam. With digital cinema, retrofitting theaters can can mean replacing current digital projectors or simply updating the projector’s software and making sure the media server can properly provide the bandwidth for the high frame rate DCP file. While the switch could be smooth for the theater industry, Warner Brothers is limiting the release of the 48fps version of the Hobbit to 900 screens worldwide: those that it knows can display the film at 48fps without any technical hiccups. Will this usher in an era of high frame rate films? I would venture to guess yes. If you’re like Stu Maschwitz (ILM, The Orphanage) though, you’ll be fighting it. One of the minds behind Magic Bullet, a NLE plug-in that converts NTSC footage to 24p, he is a strong supporter of how 24fps feels. In his interview with MacVideo back in 2010 (one he recently reposted on his blog in response to The Hobbit) he chats about how filmmaking is the magic of removing details that aren’t important to telling the story and how the infidelity of 24fps achieves this. On the other end of the spectrum sit people like the aforementioned Douglass Trumbull, director Peter Jackson, and director James Cameron. Trumbull champions that temporal fidelity is the next step for film and current work with his new Digital Showscan format is underway. In his PBS discussion with Mark Schubin and Larry Thorpe, moderated by Bruce Jacobs, Trumbull and company makes a very convincing argument for high frame rate films. One of the more interesting points he makes is that films will benefit from different frame rates and that 24fps will still have its place in the future. I invite you to add your thoughts about the great frame rate debate in the comments below.